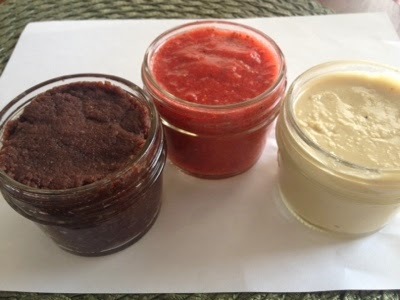 Being Gluten-Free Vegan: Raw Strawberry Chia jam and Raw "Nutella"
I tested out some yummy foods that i knew i could take on the go or eat as a snack. 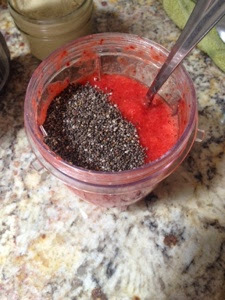 The easiest was the chia jam- blend fresh strawberries and add a teaspoon of chia. 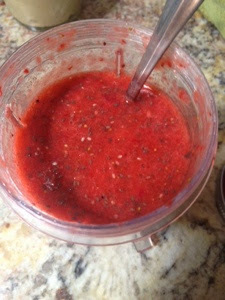 some water may be needed if the berries aren't juicy enough. 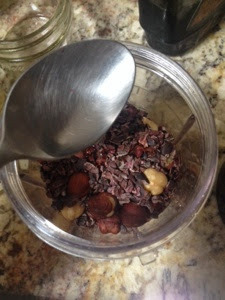 put in the fridge so the seeds can absorb the liquid and become gelatinous. 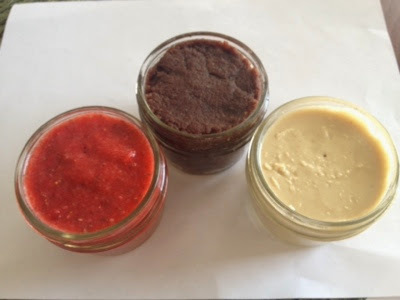 The cashew butter is quite simple as well- blend dry raw cashews may add salt or not ( i dont). 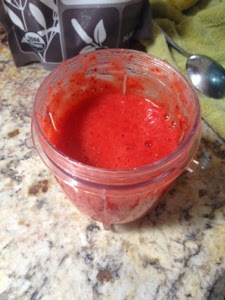 The raw nutella was hard and didn't turn out as creamy as i had wanted (i probably should have soaked the hazelnuts). 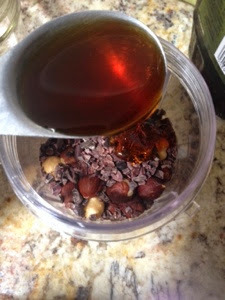 Mix hazelnuts, cacao nibs, maple syrup, and coconut oil. 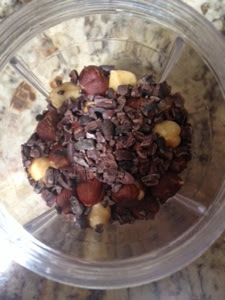 Blend.